When thinking about the “FTAM” issue, many immediately believe it to be “complicated” . Easy to install - robust operation - problem-free use! Are you looking for a standard FTAM for Windows® or Linux®, that should be operated as the FTAM initiator and/or FTAM responder? With BL ISO-FTAM both end users and software producers can’t go wrong. BL ISO-FTAM is the first choice for electronic data exchange with German customs. Whereas other systems come along with complicated set-ups and usage, it is enough here to copy the DLL for Windows® or the LIB for Linux® . * ATLAS is a registered trademark of ATLAS Transport GmbH in Düsseldorf. 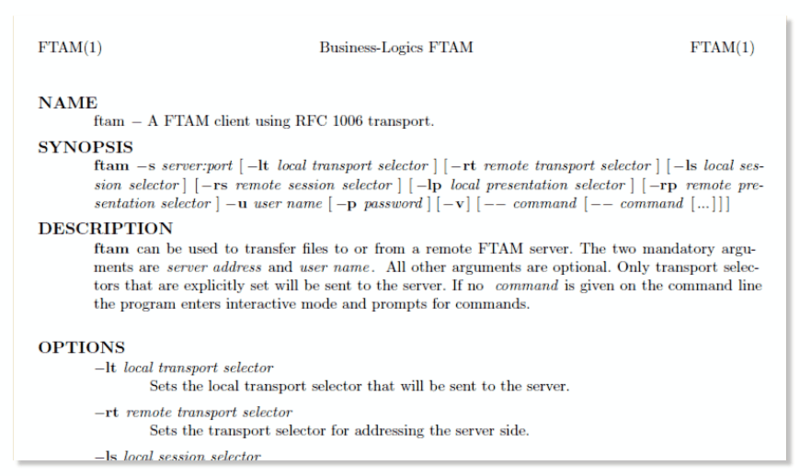 BL ISO-FTAM can be purchased directly from Business-Logics for the price of EUR 900 (net). Software maintenance including telephone and email support as well as free updates is offered at EUR 135 per year and licence.